Buffalo Snow is a beautifully illustrated book that recounts the story of a little girl and her older brother who are stranded in a blinding whiteout. It's an inspiring story of how the people of Western New York open their homes and hearts to help each other cope with the extremes of weather. 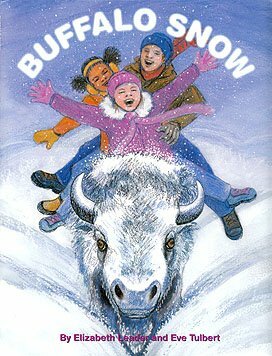 Created by Elizabeth Leader and Eve Tulbert, Buffalo Snow even provides kid-friendly information about what makes a snowstorm a blizzard.